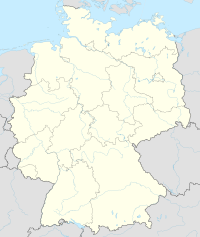 The Winnenden school shooting occurred on the morning of 11 March 2009 at a secondary school in Winnenden, Baden-Württemberg, in southwestern Germany, followed by a shootout at a car dealership in nearby Wendlingen. The shooting spree resulted in 16 deaths, including the suicide of the perpetrator, 17-year-old Tim Kretschmer, who had graduated from the school one year earlier. He also injured nine people during the incident. In the Albertville-Realschule at approximately 09:30 (CET), Kretschmer first began shooting with a 9 mm Beretta 92FS semi-automatic pistol, which he had taken from his parents' bedroom. Eyewitness reports state that Kretschmer started on the first upstairs floor, where he made a beeline for two top-floor classrooms and a chemistry laboratory. In the first classroom, Kretschmer fatally shot five students in the head at close range without warning. He then entered the next classroom, killed two more students, and wounded nine more, two of whom would die of their wounds en route to the hospital. As Kretschmer left the room to reload his weapon, the teacher reportedly closed the door and locked it. After unsuccessfully trying to shoot off the lock, Kretschmer then moved on to the chemistry laboratory, where he shot and killed the teacher. Students escaped Kretschmer by jumping out of windows. In the three targeted classrooms, he killed nine students (eight female and one male, 14–16 years old) and a female teacher. He shot most of his victims in the head. Kretschmer fired more than 60 rounds at the school. Because the majority of the victims were female, some speculated that Kretschmer specifically targeted females. The school headmaster broadcast a coded announcement ("Mrs Koma is coming", which is amok spelled backwards) alerting the teachers of the situation; they locked classroom doors. This coded alert had been used by German educators after the Erfurt school massacre in April 2002. After receiving an emergency call from a student at 09:33 local time, three police officers reached the scene two minutes later and entered the school, interrupting the shooting spree. Kretschmer shot at them and fled the building, killing two female teachers in the hall as he departed. He killed a total of 12 people at the school. A quantity of unused ammunition was recovered from the school. "It appears the perpetrator may have intended to do far more harm at the school than he managed," said chief criminal investigator Ralf Michelfelder. A car involved before carjacking. Kretschmer fled the scene and killed the 56-year-old gardener (caretaker) of a nearby psychiatric hospital in the park. Large numbers of police officers secured the school building and searched for Kretschmer throughout Winnenden for hours without success. News reports confirmed that Kretschmer was on the run and warned motorists not to pick up any hitchhikers. At approximately 10:00, the gunman carjacked a Volkswagen Sharan minivan at a car park in Winnenden. From his position on the rear seat, the gunman ordered the driver Igor Wolf to drive towards Wendlingen, 40 km (25 mi) from Winnenden. The gunman and the driver went westwards into the suburbs of Stuttgart, the Baden-Württemberg state capital, travelling through the towns and districts of Waiblingen, Fellbach and Bad Cannstatt, before driving on the B14 dual carriageway through the Heslach Tunnel onto the A81 autobahn motorway towards Böblingen and Tübingen. The two drove onto the B27 dual carriageway before leaving on the B313 to Nürtingen. Igor Wolf later reported that, when asked why he was doing this, the gunman replied, "For fun, because it is fun." ("Aus Spaß, weil es Spaß macht.") According to Wolf, the gunman revealed his intentions as he was loading his pistol magazines during the ride: "Do you think we will find another school?" ("Meinst du, wir finden noch eine andere Schule?"). Wolf says he quickly changed the conversation then. The gunman immediately left the car and ran towards the nearby industrial area, entering a Volkswagen car showroom through the main entrance. He threatened a salesperson and demanded a key for one of the vehicles. The salesperson escaped while the gunman was distracted. The gunman shot and killed another salesperson and a customer, firing 13 bullets into both people. As he reloaded, another salesperson and visitor fled through the rear exit. The gunman emerged at about 12:30 and shot at a passing car. The driver escaped without injury. The police started to arrive and a shootout began. An officer fired eight shots at the gunman, hitting him once in each leg. The gunman returned to the car showroom, firing 12 shots from within the building at police from nearby Nürtingen, who were gradually surrounding the building. He left the rear of the building and ran across a yard to a neighbouring business complex, where he shot and injured two police officers in an unmarked police vehicle. According to police reports, at this point Kretschmer continued to shoot at random, shooting at nearby buildings and people, including an employee of a firm who was trying to lock the door. Witnesses described observing the gunman as he reloaded his pistol before shooting himself in the head. The final seconds of the shootout were captured with a cell phone video camera. According to forensic evidence, during the whole shooting spree, the gunman fired a total of 112 rounds. Tim Kretschmer (26 July 1991 – 11 March 2009) lived with his parents in the neighbouring municipality of Leutenbach. He had graduated from Albertville Realschule in 2008 with relatively poor grades. Kretschmer's failing grades had prevented him from entering an apprenticeship. He was attending a commercial high school (Donner + Kern) in Waiblingen to prepare for an apprenticeship for a commercial career. Several accounts described him as suffering from depression. Kretschmer was described by a friend as "a lonely and frustrated person who felt rejected by society". An anonymous friend described Kretschmer as a quiet student who began to withdraw from his peers. He was an avid table tennis player and had hoped to become a professional player. Marko Habijanec, a Croatian table tennis player who coached Kretschmer at the Erdmannhausen sports club between 2000 and 2003, remembers him as being "a bit spoiled", with his mother fulfilling many of his demands. According to Habijanec, Kretschmer had great difficulties accepting defeat: he would have a temper tantrum, yelling and throwing his racket. The coach said that, having a high opinion of his own abilities, Kretschmer openly denigrated his teammates. When Habijanec discussed Tim's attitude with his mother, he discovered she sided fully with her son. Media reports say he enjoyed playing the video game Counter-Strike and playing with airsoft guns. Commentators also noted that "game addiction is a symptom of something wrong and not a cause". He also shot his guns in the forest behind his home and also in the basement of his house. On his last day alive, Kretschmer played the video game Far Cry 2 online as "JawsPredator1". He had profiles at "MyVideo.de", Kwick.de and other websites. He often played poker with his classmates in the "Cafe Tunix" after school hours in Waiblingen. After inspection of his computer, officers found that Kretschmer was interested in sadomasochistic scenes where a man is bound and humiliated by women. He viewed such a movie the evening before his attacks. Kretschmer did not have a criminal record. The press reported that in 2008, Kretschmer had received treatment as an in-patient at the Weissenhoff Psychiatric Clinic near the town of Heilbronn. After being discharged, Kretschmer was supposed to continue his treatment as an out-patient in Winnenden, but ended his treatment. According to police and clinic staff, he had been treated repeatedly for clinical depression on an out-patient basis in 2008. His family rejected these claims and maintained that he never received psychiatric treatment. According to a psychiatric report prepared for the prosecutor's office, Kretschmer met five times with a therapist and talked about his growing anger and violent urges; the therapist informed Kretschmer's parents. In a press conference on 12 March, police reported that Kretschmer had announced his killing spree several hours ahead of time on Krautchan. The next day, police determined that this message had not been written on Kretschmer's computer and was a forgery. Three weeks before the shooting, Kretschmer had written a letter to his parents, saying that he was suffering and could not go on. In an interview in 2014, Kretschmer's parents stated that they had always loved their son and that they did not have an explanation for his actions. They have since changed their name and moved to a different city. Police raided the Kretschmer family house at about 11:00 a.m. on the day of the shooting. Tim Kretschmer's father legally owned 15 guns as a member of a local marksmen club ("Schützenverein" in German). One 9 mm Beretta handgun was found missing, along with several hundred rounds of ammunition. Fourteen of the guns were kept in a gun safe, while the Beretta had been kept unsecured in the bedroom. Five days after the event, prosecutors initiated preliminary proceedings against the father for negligent homicide, since the gun had not been properly locked away as required by German law. The police confiscated the 14 remaining guns. The father announced that he would voluntarily relinquish his gun ownership authorization. In November 2009, the Public Prosecutor's Department in Stuttgart announced that the father had been indicted on charges of negligent homicide, bodily injury caused by negligence, and violation of the weapons law. On 10 February 2011, the state court in Stuttgart found the father guilty of involuntary manslaughter in 15 cases, bodily harm caused by negligence and the negligent abandonment of a weapon. The father received a suspended sentence of one year and nine months, and appealed the verdict. The appeals court handed out a suspended sentence of one year and six months in 2013. German President Horst Köhler said he was "appalled and saddened" by the killings. Köhler and his wife expressed their condolences to the victims and their families and friends. Chancellor Angela Merkel described the shootings as "incomprehensible". "It is unimaginable that in just seconds, pupils and teachers were killed – it is an appalling crime," she told reporters. "This is a day of mourning for the whole of Germany," she continued. Baden-Württemberg Minister-President Günther Oettinger travelled to the scene of the crime by helicopter shortly after the news broke. Oettinger spoke of a "horrible and in no way explainable crime". He also expressed his condolences to the victims, students and families. "This has touched all of Baden-Württemberg. The school, the town, the future, education, and raising children – to destroy these things like that is especially cruel." The European Parliament held a minute of silence to honour the dead. An ecumenical Church service was held in Winnenden the evening of the shooting, with Protestant, Catholic, and Muslim clerics officiating. All German flags were flown on half-staff until 13 March, in memorial of the victims. In the days following the event, some politicians called for legal consequences, including a total prohibition of all shooting video games, better monitoring of gun club members, a directive to have all ammunition deposited with police, and a provision to have gun club members store their weapons at the club house. Others dismissed such demands as "placebos". The families of five victims wrote an open letter to Chancellor Angela Merkel, President Horst Köhler, and Baden-Württemberg Minister President Günther Oettinger with demands for consequences. They called for a prohibition on youths' access to guns in gun clubs, less violence on TV, and a prohibition of violent video games. They also called for reporting of these incidents without highlighting the perpetrator, so as to minimize the chance of copycats. The German government passed legislation in June 2009 to improve handgun security with an electronic nationwide weapons registry, increased age limitations for large-calibre weapons, and unannounced, random inspections in gun-owner homes to ensure requirements for locked gun storage were met. Obligatory biometric security systems should be introduced once technically feasible. In May 2009, Germany announced plans to ban games such as paintball on the grounds that they "trivialise and encourage violence". The legislature did not ban fighting games such as paintball, gotcha and laserdrome; did not limit the number of guns owned and did not pass a requirement to store guns with shooting clubs or restrictions regarding ammunition storage in private households. Schober, Hardy: Mein Sonnenkind: Wie ich meine Tochter beim Amoklauf in Winnenden verlor und nun gegen die Waffenlobby kämpfe. Südwest Verlag, München 2012, ISBN 978-3-517-08734-4. Stocker, Johannes: Elf Tage im März: Als Einsatzleiter in Winnenden. Scm Hänssler, 2012, ISBN 978-3-7751-5404-8. ^ a b c d e f g h "'German school gunman 'kills 15'". BBC News. 11 March 2009. Retrieved 11 March 2009. ^ a b c d e f g h i Gera, Vanessa. "Teen kills 15 in Germany before taking own life". The Associated Press. Retrieved 12 March 2009. ^ "Die Tatwaffe". Spiegel Online. ^ "Amoklauf in Winnenden". Local Police authorities. 11 March 2009. Retrieved 12 March 2009. ^ "German Police Say School Shooting Kills at Least Nine". Deutsche Welle. 11 March 2009. Retrieved 11 March 2009. ^ "Wieso kam Tim an diese Pistole, Herr Kretschmer?" (in German). www.blick.ch. 12 March 2009. Retrieved 19 March 2009. ^ a b c "Protokoll eines Massenmords". Der Spiegel (in German). 11 March 2009. Retrieved 11 March 2009. ^ a b "How German school shooting unfolded". BBC. 11 March 2009. Retrieved 11 March 2009. ^ a b c d e f g h i j k "Polizei konstruiert genauen Tathergang (Police reconstruct exact events)" (in German). Stuttgart Journal. 13 March 2009. Retrieved 13 March 2009. ^ "Ainakin kymmenen kuoli kouluammuskelussa Saksassa" (in Finnish). Helsingin Sanomat. 11 March 2009. Retrieved 11 March 2009. ^ a b c d "Chronology of a Mass Murder: 'The Scope of this Disaster Is Incomprehensible'"
^ "Teen gunman's tragic school killing spree recreated". bild.com. 13 March 2009. ^ Hughes, Dominic (11 March 2009). "Sad scene at German massacre school". BBC News. Retrieved 11 March 2009. ^ a b Hall, Allan (13 March 2009). "Police uncover astonishing weapons cache of another German teenager as country is hit by wave of copycat threats". Daily Mail. London. ^ "Polizeitaktik und Notfallpläne "Frau Koma kommt"" (in German). FAZ. 13 March 2009. Retrieved 23 March 2009. ^ a b c d e Davies, Lizzy (12 March 2009). "Teenage killer wrote letter to parents saying he 'couldn't go on'". The Guardian. London. Retrieved 12 March 2009. ^ "Das Protokoll des Blutbades: "Rennt, rennt!"". Abendzeitung. 11 March 2009. Retrieved 11 March 2009. ^ Yeoman, Fran; Naughton, Philippe (12 March 2009). "German school killer Tim Kretschmer warned of massacre on chatroom". The Times. London. Retrieved 23 March 2009. ^ a b "Vater von Tim K. will Waffen nicht mehr anrühren" (in German). sueddeutsche.de. 20 March 2009. Retrieved 20 March 2009. ^ "Interview "Ich wollte für meine Kinder weiterleben"" (in German). stern.de. 29 March 2009. Retrieved 2 April 2009. ^ "Das wortlose Töten des Tim K." (in German). sueddeutsche.de. 11 March 2009. Retrieved 11 March 2009. ^ "Die letzten Sekunden des Amok-Killers von Winnenden" (in German). bild.de. 12 March 2009. Retrieved 1 July 2018. ^ Naughton, Philippe (11 March 2009). "German school massacre gunman dies in police shootout after chase". The Times. London. Retrieved 11 March 2009. ^ "17-Jähriger läuft Amok – 16 Tote – Täter Tim K. erschossen" (in German). Tages Anzeiger Panorama. 11 March 2009. Retrieved 11 March 2009. ^ a b Yeoman, Fran; David Charter (12 March 2009). "Tim Kretschmer, the boy who killed 15 in school rampage, stole pistol from his father's arsenal". The Times. London. Retrieved 12 March 2009. ^ "Polizei fand Killerspiele, Horrorfilme und Pornobilder auf dem Computer von Kretschmer +++ Er war Einzelgänger und hatte keine Freundin – Der Amok-Schütze (17) war wegen Depressionen in der Nervenklinik. Die Arzte konnten seine kranke Seele nicht heilen" (in German). Berliner Zeitung. 13 March 2009. Retrieved 18 March 2009. ^ a b "Tim Kretschmers letzter Tag (Tim Kretschmer's last day)" (in German). Bild. 11 March 2009. Retrieved 11 March 2009. ^ "Tim Kretschmer suffered from depression before killing spree". bild.de. 13 March 2009. Retrieved 23 March 2009. ^ a b "Tim K. – der Junge ohne Eigenschaften". Der Spiegel (in German). 11 March 2009. Retrieved 11 March 2009. ^ a b c d "Marko Habijanec: Trenirao sam monstruma". Jutarnji list (in Croatian). 13 March 2009. Retrieved 15 March 2009. ^ a b "Polizei hat Hinweise auf Tatmotiv". Der Spiegel (in German). 12 March 2009. Retrieved 12 March 2009. ^ "Did video games cause the shooting in Germany?". ^ "Verwirrung um Therapie von Tim K. – Eltern des Amokschützen dementieren Behandlung – Schütze spielte vor der Tat Killerspiel" (in German). news-times.de. 11 March 2009. Retrieved 19 March 2009. ^ "Teen 'played video games'". www.news24.com. 14 March 2009. Retrieved 19 March 2009. ^ Yeoman, Fran; Charter, David (11 March 2009). "Teenage killer Tim Kretschmer had stopped treatment for depression". The Times. London. Retrieved 11 March 2009. ^ a b "War Tim K. in Therapie?" (in German). Süddeutsche Zeitung. 14 March 2009. Retrieved 13 March 2009. ^ "Polizeipanne? Innenminister redet sich raus" (in German). RTL.de. 2009-03-13. Retrieved 23 March 2009. ^ a b "Das neue Leben der Eltern des Tim K." Die Welt (in German). 18 May 2014. ^ Hall, Allan (13 March 2009). "I was shot 3 times Chantal slumped dead by the door". The Sun. London. ^ "Teenage Gunman Killed by Police After German School Shooting". Deutsche Welle. 11 March 2009. Retrieved 11 March 2009. ^ "Schwarz wie der Tod" (in German). sueddeutsche.de. 11 March 2009. Retrieved 11 March 2009. ^ "Staatsanwaltschaft ermittelt gegen Vater" (in German). Bild.de. 16 March 2009. Retrieved 16 March 2009. ^ "Tim K.s Vater angeklagt". sueddeutsche.de (in German). 27 November 2009. ^ "Winnenden father found guilty of manslaughter". thelocal.de. 10 February 2011. ^ "Vater des Täters geht in Revision". Focus (in German). 3 July 2011. ^ a b "POLITICAL REACTIONS: Merkel 'Deeply Shaken' By School Shootings". Der Spiegel. 11 March 2009. Retrieved 11 March 2009. ^ "CSU will Killerspiel-Verbot, SPD Kontrolle über Schützenvereine". Der Spiegel (in German). 13 March 2009. Retrieved 13 March 2009. ^ "Opferfamilien fordern Killerspiel-Verbot" (in German). sueddeutsche.de. 21 March 2009. Retrieved 21 March 2009. ^ "Winnenden: Eine Tat, aus der man nicht klug werden kann" (in German). www.welt.de. 21 March 2009. Retrieved 24 March 2009. ^ a b "Bundestag billigt verschärftes Waffenrecht" (in German). Berliner Morgenpost. 18 June 2009. Retrieved 23 June 2009. ^ "Germany moves to outlaw paintball". BBC News. 9 May 2009. ^ "Germany to ban paintball in wake of high school shooting". The Daily Telegraph. London. 7 May 2009. ^ Nach Winnenden: Leben ohne Waffen. In: Frankfurter Rundschau. 16. Februar 2012. Wikimedia Commons has media related to Albertville-Realschule.